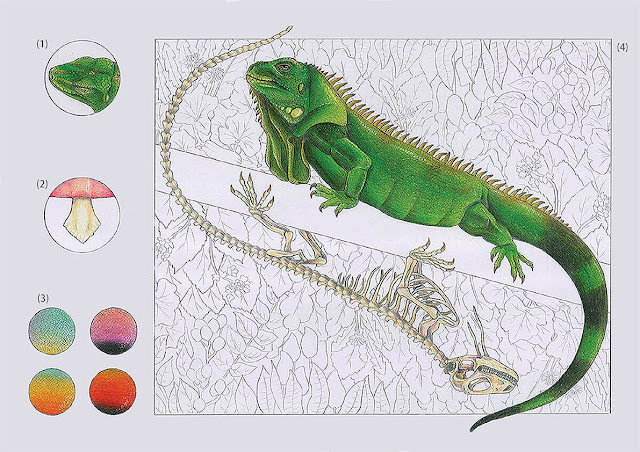 "This illustration is a representation of different characteristics of green iguanas. Figures (1) and (2) are showing its most particular features: parietal eye on the head, and leaf-like teeth. Despite their name, not all green iguanas are green. Figure (3) is a palette of colors green iguanas can eventually have according to their location. Figure (4), the main picture, shows its profile and its skeleton. 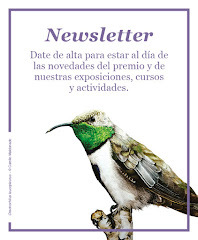 A simplified background brings information on green iguanas living environment and diet ( turnip leaves, mustard leaves, dandelion leaves and flowers, wild plums, mangos, butternut squash…)"